1975: MV Agusta presents the S America 750, powered by an in-line 4-cylinder engine with dual overhead camshaft. p>Seventy-five hp of thoroughbred Italian technology, built on the splendid 1973 750 S.
Now, for the very first time on an MV Agusta 3-cylinder bike, the America livery is back. Based on the Euro 4 compliant Brutale 800, the result is a stunning, numbered Special Edition. 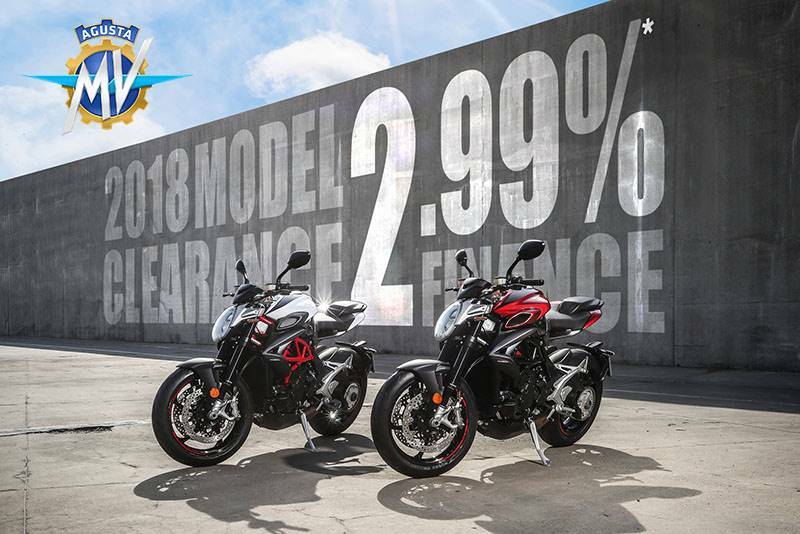 The first 50 bikes will be for the US market: one for each State in the Union. And, in parallel with the Superbike race at the Californian Laguna Seca track, the official presentation of the new Brutale 800 America will take place on the weekend of 7-9 July 2017. This numbered Special Edition has plenty to brag about, starting with a never-before-seen metallic blue colour scheme that catches the light with shimmering iridescence. On the tank, a star-studded motif, like the one on the 1973 750 S, takes the brand back to its glory days. 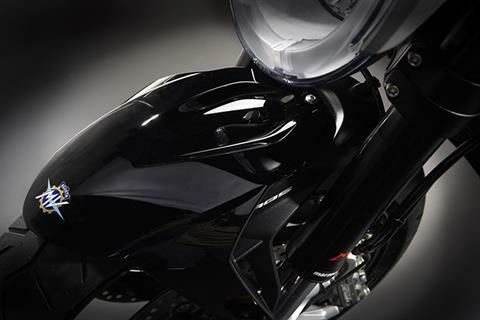 Gloss black paintwork brings out the best in a host of details, such as the appendage in front of the instrument panel. 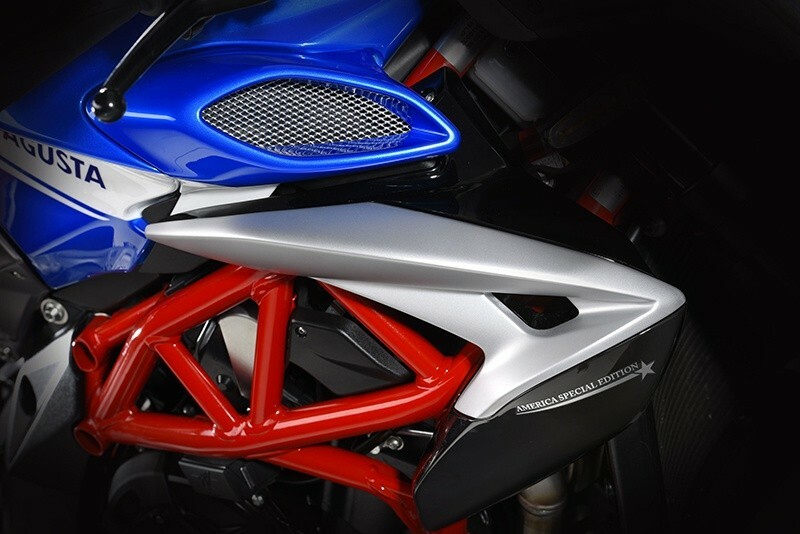 The same colour and finish is seen on the front mudguard, which sports the MV Agusta logo; the rear one and the side of the radiator are decorated with the wording “America Special Edition”. 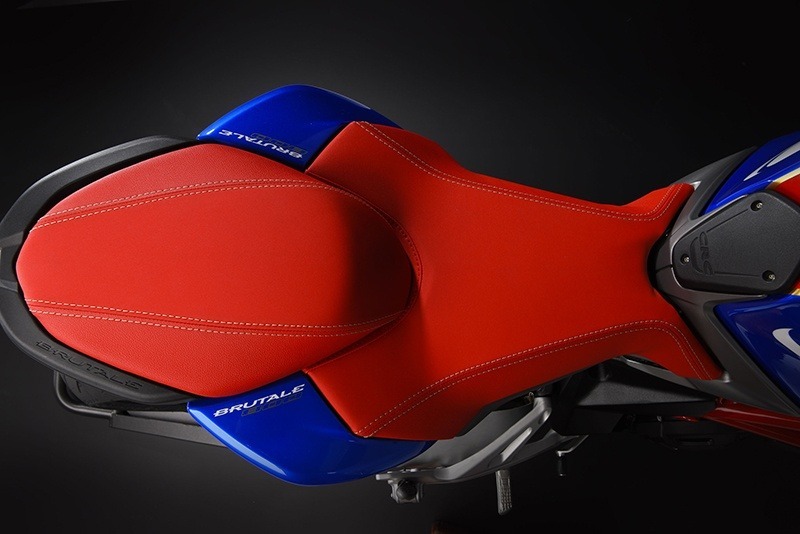 Even the Brutale America’s seat has been specially designed, as a glance at the comfort-enhancing pillion padding clearly shows. The seat lining makes use of two materials, each characterised by a special finish; an added touch of class comes from the gilt stitching, which mirrors the finish on the tank. In addition to the unique aesthetics, pure exclusivity is also seen in the triple clamp with its laser-cut “America Special Edition” legend and sequential production number: the same number found on the certificate which, housed in a smart wooden-plexiglas frame, is given to each new owner. 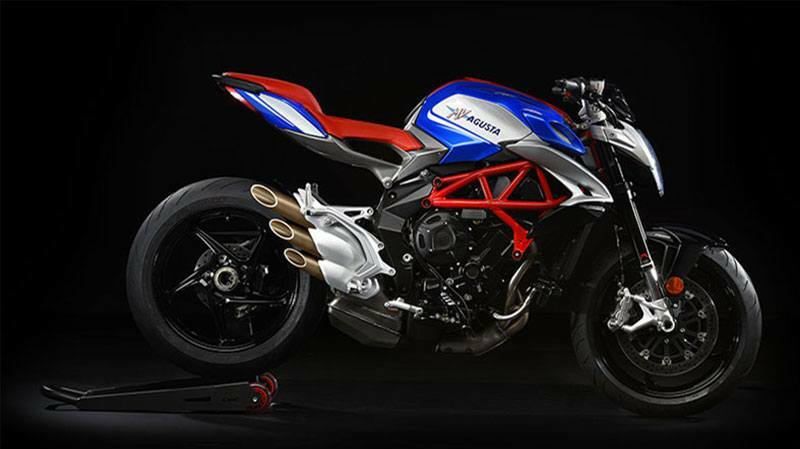 The first MV Agusta 3-cylinder bike to sport the America colour scheme is based on the Brutale 800 2017 model year version and offers all the same technical specifications. It will go on sale in the USA in July 2017 at a price of $14,998. 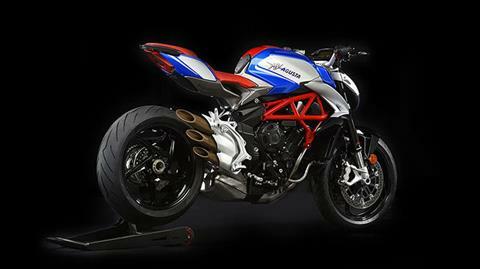 The Brutale 800 America is marketed by MV Agusta USA LLC, managed by Urban Motor Group Pty Ltd via a special business unit. This new organisational structure is essential for overhauling US operations and developing a far-reaching sales network to strengthen the Italian brand's position in what is seen as a strategic market for MV Agusta. ENGINE: There have been changes in the engine too, with the latest development of the three cylinders with counter-rotating crankshaft, to meet Euro 4 emission standards, that is capable of delivering a maximum power output of (81 kw) 110 hp at 11,500 rpm. 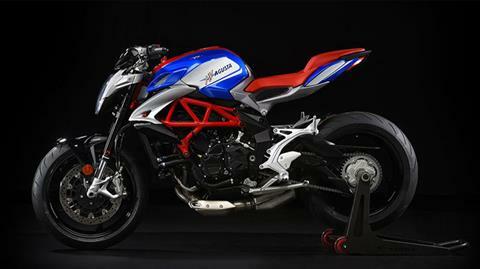 A record maximum torque, increased by 25% with 83 Nm at 7,600 rpm, with 90% of the value already available at 3,800 rpm. 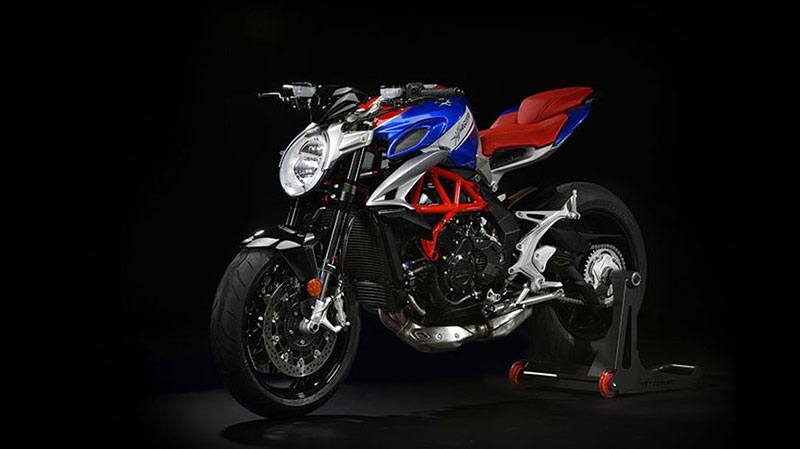 In addition to the counter-rotating crankshaft, another unique feature is the fact that the new Brutale 800 is the only one its category with electronic EAS 2.0 up & down gear shift. The slipper clutch is now hydraulically operated while the engine is managed by the MVICS system which includes integrated multi map Full Ride by Wire in the traction control with 8 settings. 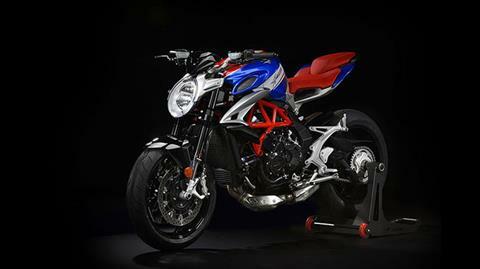 FRAME AND SUSPENSION: In terms of handling, the New Brutale 800 has a new frame with a wheelbase that has been extended to 1400 mm (+20mm), and a trail that is now 103.5 (95mm in the previous version). The ALS steel tubing frame is incorporated with light aluminium alloy clamps in the rear area of the pivot of the single swingarm. 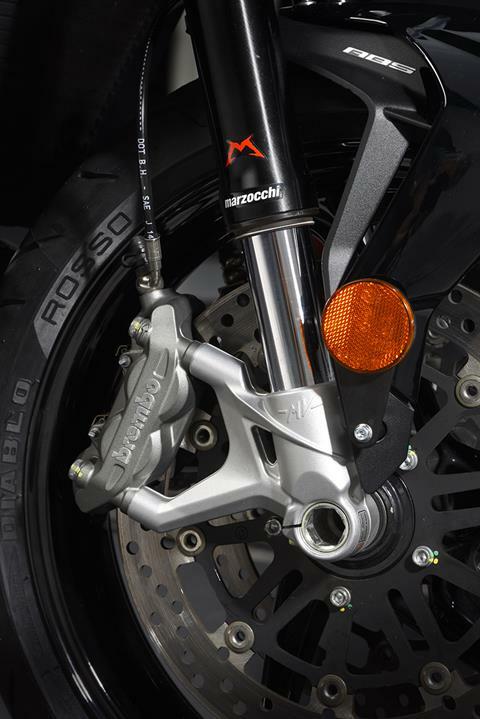 The Marzocchi fork has 43 mm diameter upside aluminium forks with a travel of 125 mm: which is 1 mm more than the Sachs shock absorber, which is tethered to the single swingarm. 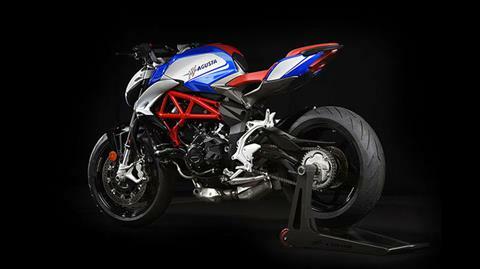 The brake system is Brembo throughout, with a pair of 320 mm diameter front floating disks and brake callipers with four pistons, whilst at the rear a twin piston calliper acts on a 220 mm disk. The Bosch ABS 9 Plus completes the picture, guaranteeing safety and performance on any road surface. From a safety perspective, the new Pirelli Diablo Rosso III tyres, fitted as original equipment for the first time ever on a standard production motorbike, are an additional asset. PAINT: This numbered Special Edition has plenty to brag about, starting with a never-before-seen metallic blue color scheme that catches the light with shimmering iridescence. 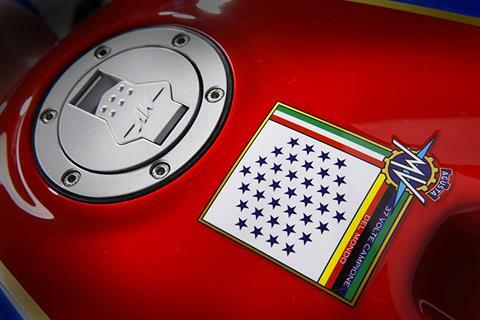 On the tank, a star-studded motif, like the one on the 1973 750 S, takes the brand back to its glory days. Gloss black paintwork brings out the best in a host of details, such as the appendage in front of the instrument panel. 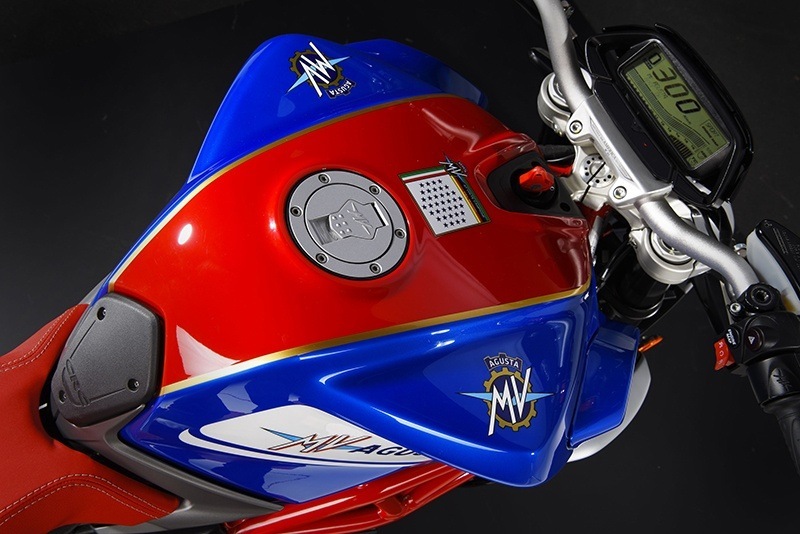 The same color and finish is seen on the front mudguard, which sports the MV Agusta logo; the rear one and the side of the radiator are decorated with the wording “America Special Edition”. 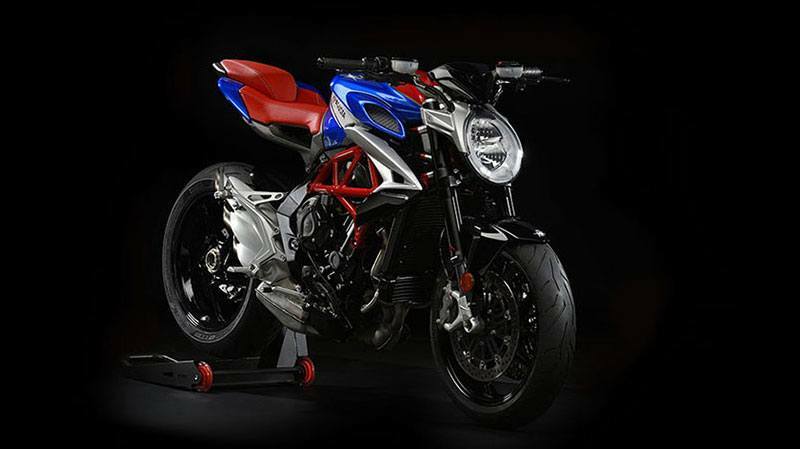 SEAT: Even the Brutale America’s seat has been specially designed, as a glance at the comfort-enhancing pillion padding clearly shows. 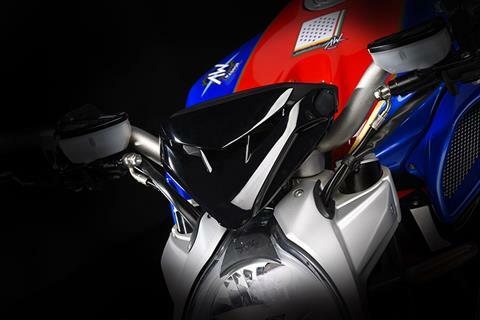 The seat lining makes use of two materials, each characterized by a special finish; an added touch of class comes from the gilt stitching, which mirrors the finish on the tank. AMERICAN SPECIAL EDITION: Even the Brutale America’s seat has been specially designed, as a glance at the comfort-enhancing pillion padding clearly shows. The seat lining makes use of two materials, each characterized by a special finish; an added touch of class comes from the gilt stitching, which mirrors the finish on the tank.